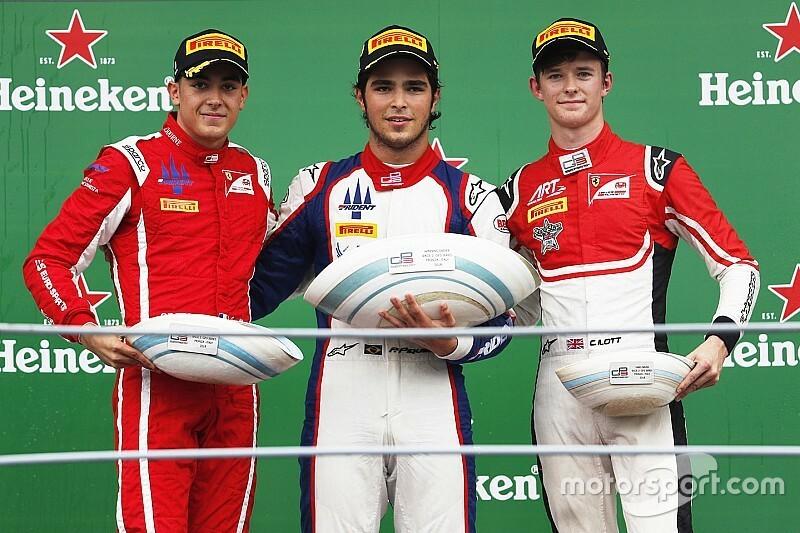 Pedro Piquet came out on top in an exciting battle against Trident teammate Giuliano Alesi to win the GP3 sprint race at Monza. 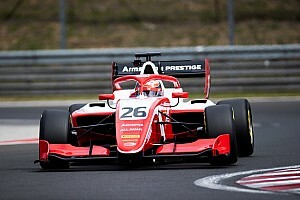 As pole-sitter Richard Verschoor, tackling his only second GP3 round, had a sluggish start, fellow front-row starter Piquet led into Turn 1, with Alesi claiming second by the end of the first chicane. At the end of the opening lap, Alesi tried an audacious move on the outside at Parabolica but, whether his move would have worked remains a mystery as the safety car was deployed while the teammates ran side by side on the main straight, and Piquet kept the lead. The safety car was out due to a collision between Gabriel Aubry and Juan Manuel Correa before the Ascari chicane, leaving lots of debris on track. After the restart, Alesi was again quick to try to overtake, but he couldn't make the first chicane. 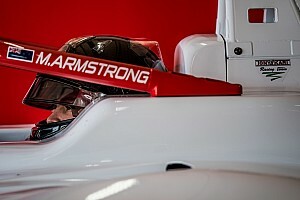 He finally succeeded four laps later on the inside line of Curva Grande and led a train of cars including Piquet and ART trio Anthoine Hubert, Callum Ilott and Nikita Mazepin. Piquet tried to retaliate soon afterwards and even claimed first with a move at Turn 1, but Alesi was back ahead a corner later. The Brazilian had another attempt at the first chicane on the penultimate lap and, while his move was unsuccessful, Alesi's exit was compromised, allowing Piquet to move ahead at the Roggia chicane. Alesi failed to fight back and had to settle for second as Piquet took his second win of the season after also winning the Silverstone sprint race. Callum Ilott won the battle of the ARTs by passing Nikita Mazepin right after the safety car restart and Hubert late in the race to complete the podium. Hubert settled for fourth with Mazepin taking fifth, as the Russian lost places by running wide at the Roggia chicane after the safety car, but recovered when both Verschoor and David Beckmann made the same error at Turn 1 a few laps later. The fourth ART car of Jake Hughes pulled off a brave move at Roggia for sixth as Saturday winner Beckmann settled for seventh, followed by his former Jenzer teammate Tatiana Calderon. 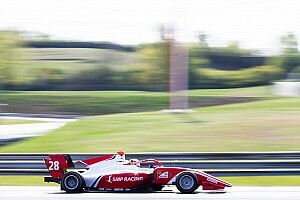 Campos duo Leonardo Pulcini and Simo Laaksonen completed the top 10 as Verschoor dropped as low as 11th. Niko Kari had to pit for a new front wing after the start but his deficit was wiped out by the safety car and the Finn recovered to 12th. Ryan Tveter also had to get a new front nose later in the race, the American taking 18th.